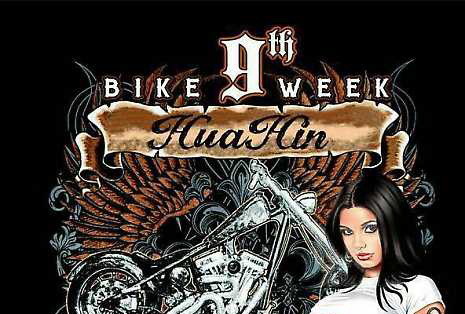 The signs are up for Hua Hin Bike Week 2013. Sponsored by the Vampire MC, the event will be held the 6th and 7th of December. It’s not stated where it will held but it was 19 Rai Park last year and this is much better than 48 Rai where it was held previously. There’s often a ride through town. This is all we have at the moment. If you know more, please leave a note in the comments below. Was driving down the canal road today and saw where they were building an entrance frame at 48 Rai Park and the frame was covered in logos for the Hua Hin Bike Week. As 19 Rai is very busy this time of year with government sponsored functions, it appears that the Bike Week will be back at 48 Rai. Here’s a map for 48 Rai. Parking will be a major problem, as will be simple access to the venue. As they are still working on the expansion of the Canal Rd, there is a large divider between the north and southbound lanes. If you live in Hua Hin, you might want to drive by this week and make some plans as to where you might park. This entry was posted in beer, chaos, festival, food, Hua Hin, motorcycles, music by FBF. Bookmark the permalink.